SubhanAllah, He is Absolutely Flawless. The utter beauty, completeness, total negation, absolute perfection and exaltation that is contained in saying those two words completely boggles my mind and I know I cannot do any justice to it. My intention is to give a tiny drop from the ocean of what tasbeeh really contains, so we do not continue to repeat this phrase (especially in salah) without knowing its true meaning. The word tasbeeh means the act of saying subhanAllah just as tahmeed means the act of saying alhamdulillah. 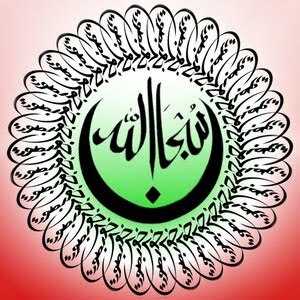 Translations such as "glory be to Allah" do not contain the full meaning of tasbeeh, rather it is an impartial translation. A more appropriate translation is, SubhanAllah: How Perfect is Allah and Far Above any flaw and association. A name of Allah that coincides with this root is As-Subooh, which means The Exalted One who is praised and glorified extensively. We learn from a hadeeth in Saheeh Muslim from A'ishah radi Allahu anha, that the Prophet sal Allahu alayhi wa sallam used to say in ruku and sajdah: Suboohun, Qudoosun, Rabb al Malaa'ikati war Rooh. Suboohun: the One who is Exalted a lot, Quddoos : the One who is very Pure, Rabb ul Malaaikati war Rooh : Rabb of the angels and of Jibreel. Why do we say this in ruku and sajdah? It is out of humility, reminding ourselves how small we are, and we acknowledge Allah's Purity and that He is the Rabb. As stated in the previous post on hamd, the dwellers of Jannah's last call will be: "Alhamdulillah! ", but what do they say when they enter Jannah? So when we say "SubhanAllah" the complete meaning is (but not limited too): I declare (or celebrate, extol) the remoteness, or freedom, of Allah from any imperfection or impurity or from anything derogatory from His glory. From the attribution of there being an equal to Him, or any companion, or anything like unto Him, or anything contrary to Him, from everything that should not be attributed to Him.